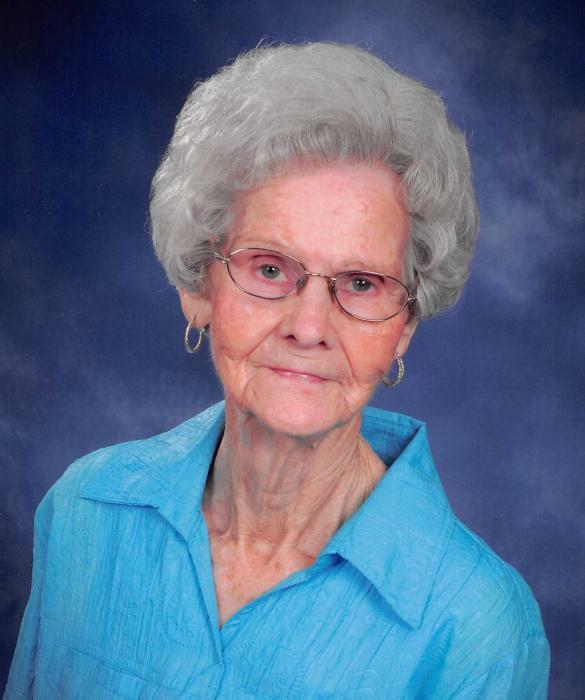 Gladys Massengill Royal, 91, of 67 Penny Tew Mill Road, passed away, Saturday, February 9, 2019 at her home. Funeral service will be held at 3 PM, Wednesday, February 13, 2019 at Piney Green Baptist Church with Reverend Donald Keith Carter and Reverend Kelvin Blackman officiating. Interment will be in the church cemetery. Family will receive friends from 6 PM – 8 PM, Tuesday at Piney Green Baptist Church, February 12, 2019, and at other times at the home. Gladys, born in 1928, was the daughter of the late Edgar Massengill and Maude Dunn Massengill. She worked in the dietary department at Mary Gran Nursing Center and owned and operated Royal’s Ceramics.
. She was also a member of Piney Green Baptist Church. In addition to her parents she was preceded in death by; her husband, Cozart Royal; brothers, Leroy Massengill and Larry Massengill; and sisters, Alene Lassister and Betty Lou Miller. Survivors include: children, Regina Honeycutt, Charles Blackman (Ann), and Billy Blackman (Betty); grandchildren, Georgianna Honeycutt, Brandon Honeycutt, Kelvin Blackman, Janet Marseglia, Jerry Blackman, Chris Blackman, and Michael Blackman; great-grandchildren, Christy Dorman, Emily Daughtridge, Jimmy Blackman, Felicia Blackman, Harley Blackman, Jaret Blackman, Carson Blackman, Addison Blackman, Ansley Blackman and Allie Blackman; great-great grandchildren, Keith Dorman, Eleanor Dorman, Stewart Dorman, Paisley Short, Landyn Lee, Emersyn Daughtridge and Abraham Daughtridge; brother-in-law and sister-in-law, Bobby and Pauline Strickland; sister, Linda Tart (George); brother, W. C. Massengill (Grace); and numerous nieces and nephews.